Sadly this won't make your homespun yarns smell of peppermint. 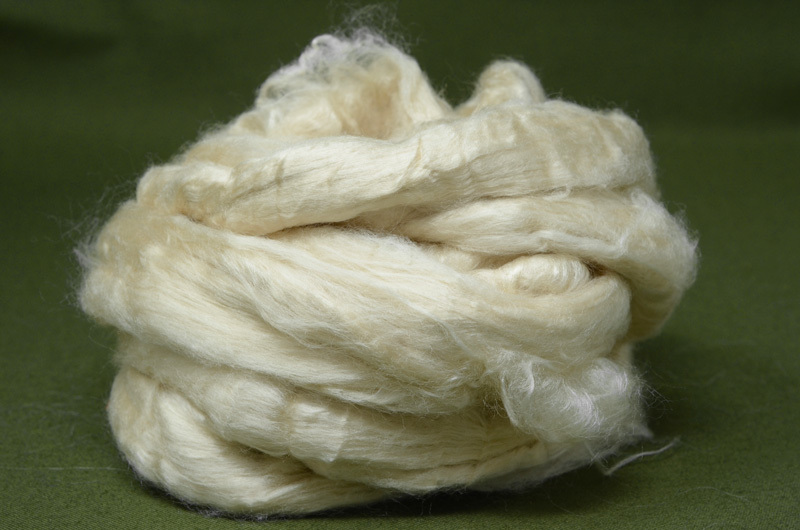 On the other hand, this is an excellent portein wool to incorporate into your home blends. The rayon fibre is infused with poweders extracted from mints, suggested to have anti-bacterial qualities. While we can't guarantee these we can promise a super soft fibre.